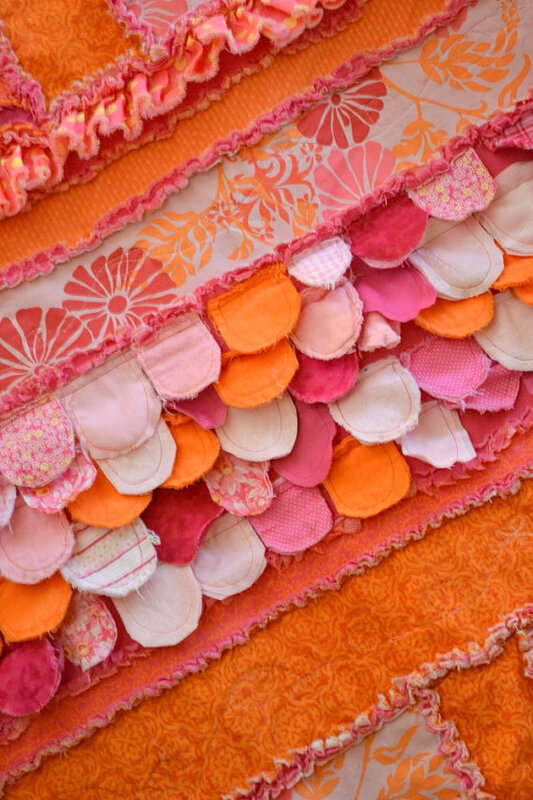 I think my favorite part of this quilt pattern has to be the scallops. The first time I made them it took me 3-4 hours just for the scallops, but thankfully for you, I have the instructions on how to make the scallops quickly and efficiently. Saving you from monotony! 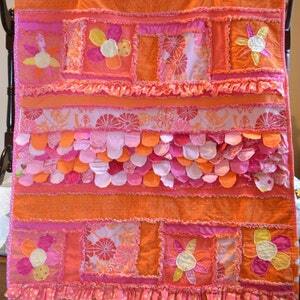 The quilt pattern includes everything you need to know about quilting and binding a rag quilt. 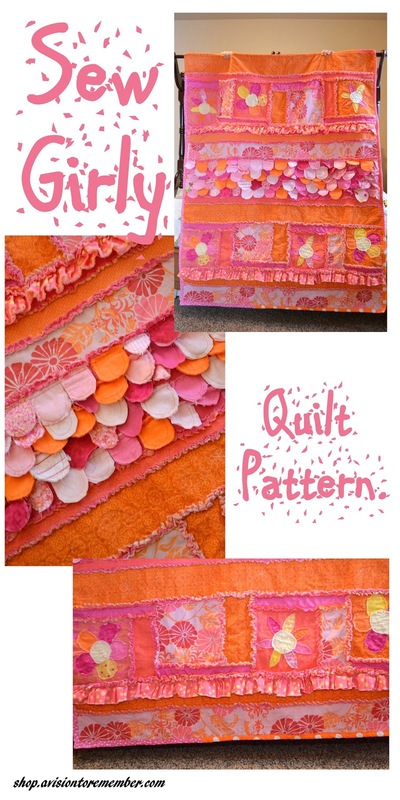 It is really simple and makes for such a beautifully finished quilt. Finished quilt measures approx 44"x54"
The pattern also includes instructions and pattern pieces for the raw edge appliqued flowers. 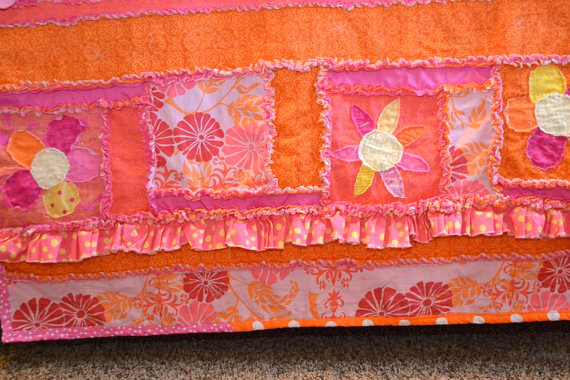 They just add that little extra touch of feminine to the quilt! Don't you think? tips and tricks that I have learned along the way to hopefully make completing the quilt easier and quicker for you. This is a great pattern! Easy to use and understand. 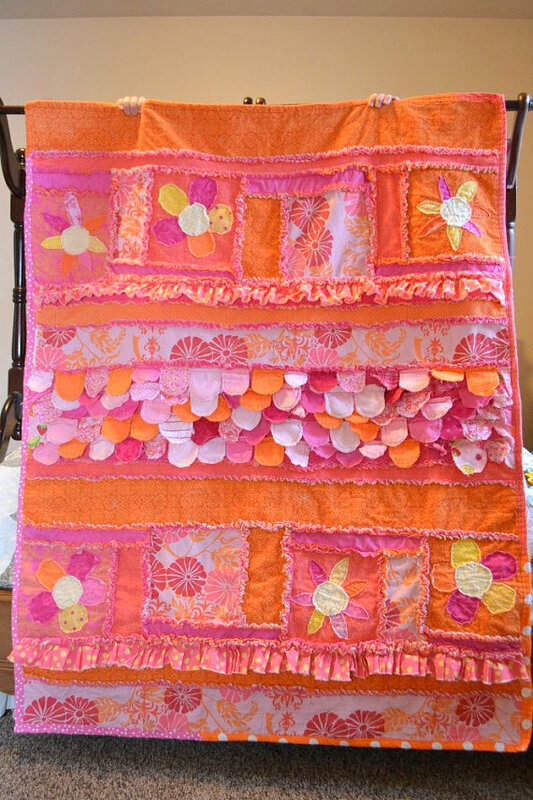 I'm going to use it to make a Rag Quilt out of my children's baby clothes! All my purchases from A Vision To Remember have been wonderful experiences. I get the pattern instantly, the instructions are easy and the end results turn out great! Bobbi is very good about getting back to you right away with any questions you have and she loves to share what you've done when your finished with the project. Also, don't forget to join the Facebook Group for A Vision to Remember Patterns. 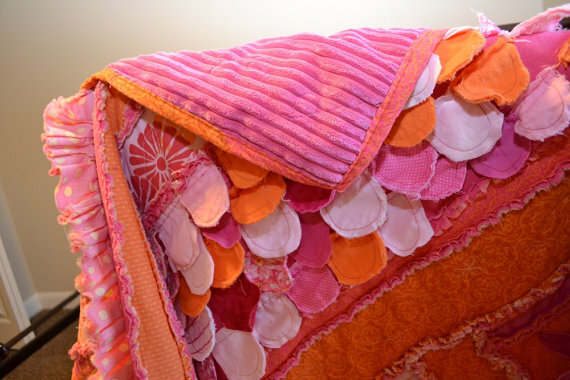 There you can share your quilts and projects you have made using A Vision to Remember patterns, ask questions, and just enjoy each others company!